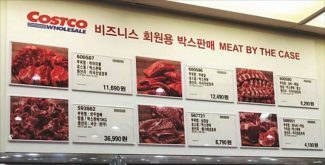 In 2017, Costco will begin carrying a wide selection of chilled U.S. beef cuts at all of its locations in South Korea. U.S. beef has been rapidly building momentum in South Korea, and received a further boost last week as Costco officially began converting its imported chilled beef selection from Australian beef to 100 percent U.S. product. The move follows a multi-year effort by the U.S. Meat Export Federation to persuade store managers that sales of U.S. beef — a popular item at Costco — would match or exceed Australian beef sales due to revived consumer confidence in the safety of U.S. beef. Costco currently has 13 warehouses in Korea, with two new locations scheduled to open this year. On Feb. 13, Costco began transitioning two of those warehouses to 100 percent U.S. chilled beef. The others will be converted in May. In total, Costco's move represents an opportunity for about 15,000 metric tons (mt) of incremental new beef business in 2017, said Jihae Yang, USMEF director in Korea. Yang noted that the theme of U.S. beef promotions in Korea has gradually moved from food safety to consumer enjoyment and product quality. While USMEF still reassures Korean consumers that U.S. beef is a safe product, we are now able to focus more on the outstanding flavor of U.S. beef," Yang said. "Tasting demonstrations at Costco and other popular stores have been very successful in getting consumers to taste U.S. beef and increase awareness of our product." "Regaining Costco's chilled beef business is a milestone on several fronts. Not only will U.S. sales soar at this iconic beef retailer, but Costco's beef merchandising decisions are a bellwether for overall Korean consumer sentiment toward U.S. beef." said Joel Haggard, USMEF senior vice president for the Asia pacific region. USMEF is also providing support to Costco to ensure a smooth transition to U.S. chilled beef, helping re-acquaint customers with the full range of U.S. beef cuts. "Korean consumers love the high quality of U.S. beef and really enjoy the flavor of our product," said Dan Halstrom, USMEF senior vice president for marketing. "In Korea, Costco is the gold standard when it comes to imaging food products, especially beef. USMEF, along with our partners in the U.S. beef industry, have been working hard to recapture market share in Korea. We've been able to do that, but mostly on the frozen side. The marquee items at Costco are the chilled beef cuts and we finally have that chilled section of the meat case back." U.S. beef exports to Korea totaled 179,280 metric tons in 2016, up 42 percent year-over-year. Export value reached $1.06 billion, up 31 percent from a year ago and breaking the previous value record (from 2014) by 25 percent. Chilled beef exports to Korea totaled 24,572 mt in 2016, up 47 percent year-over-year, valued at $216.4 million (up 43 percent). U.S. beef captured 42 percent of Korea's imported beef market in 2016, up from 35 percent the previous year, while Australia's market share fell from 57 percent to 49 percent. But Yang notes there is still room for further growth, citing pre-BSE data from 2003. "Prior to the December 2003 market closure, U.S. beef accounted for the majority of imported beef sales in Korea and 49 percent of total sales ­— including domestic beef," she explained. "So while U.S. beef has made excellent progress in Korea, the market still holds strong growth opportunities."